Ofsted Chief Inspector Amanda Spielman. Ofsted has been accused of attempting to inspect people’s private lives by pushing for more out-of-school settings powers. Chief Inspector Amanda Spielman was grilled by MPs at the Commons Education Committee this week. The head of Ofsted is seeking powers to enter and seize material in out-of-school settings. Michelle Donelan MP said the education regulator’s proposal would apply to children participating in sports, clubs or religious classes every day. A visibly flustered Spielman responded that a group could be “presented as primarily about something, but is actually about something else”. 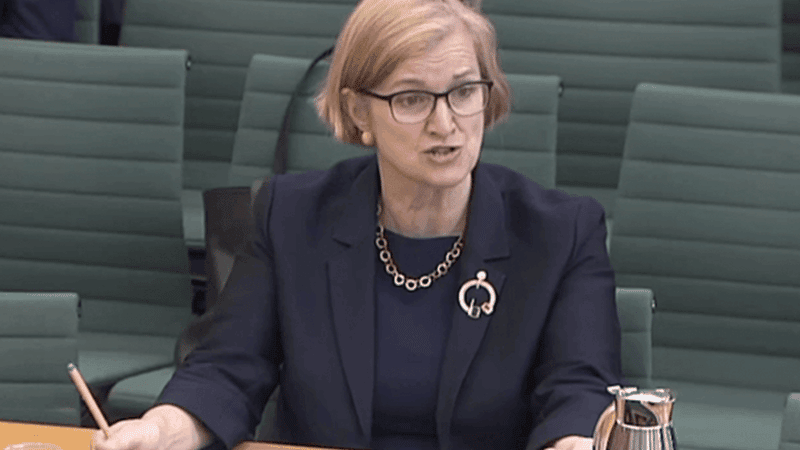 Addressing concerns about Ofsted inspections of Sunday schools, Spielman told the committee that she did not want “troops of Ofsted inspectors descending into every Sunday school and sports club in the country”. She then added “I don’t think a typical Sunday school would be caught”. Donelan, MP for Chippenham, said Spielman had ‘done a backflip’ on her previous claims that there should be a focus on schools, rather than out-of-school clubs. She also pointed out that it would be almost impossible to identify who should be inspected, adding it was “mission creep” for the state to interfere with lives outside of educational settings. “Are you comfortable with that scenario, where we are constantly subjected to some kind of inspection in our private lives?” Donelan asked. Spielman denied that was the case, but was unable to define what kind of settings fall into Ofsted’s proposed expansion. Committee Chairman Robert Halfon cautioned: “We need to make sure the innocents are not swept away with the guilty and we’ve got to be very clear how we do that”.